Your dog walking equipment consists of a leash, poop bags, high value treats, a cell phone, and…a head lamp, so you can walk your dog before the sun comes up. You’ve caught yourself browsing for Direct Stop on your lunch break. You drive your entire dog walking route, to search for any trouble spots, before going for a walk. The unexpected sound of keys jingling makes your stomach do a back flip. You know what a Happy Muzzle is and think they’re super cute. Blind corners are scarier than a Hitchcock movie. You’ve considered adding “excellent horizon scanner” to the skills section of your resume. You’ve stood around, pretending to admire someone’s mailbox, while trying to keep enough distance between you and the slow moving dog ahead. You’re considering teaching your Great Dane how to use the toilet. If you win the lottery, you’re buying a private dog park. You’ve criss crossed the same block more than three times to avoid other dogs. You have a pr eference for the kinds of cars you like to hide behind. 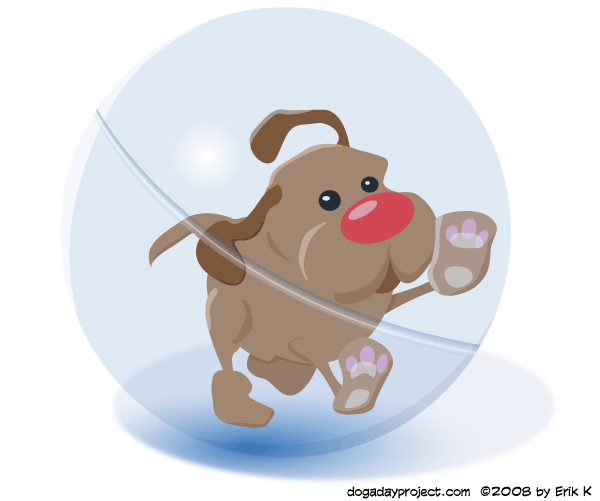 Your hamster’s exercise ball is starting to look like a good idea for your dog, if only you could build one large enough for your Lab. You’ve set your alarm to go to the dog park at four in the morning. Your neighbor hasn’t looked you in the eye since “that time” you told her where she could stick her roaming off leash dog. You day dream about what kind of privacy fence you’re going to install. You’re excited to walk dogs in the rain or snow, since bad weather means fewer dogs to bump into. You’ve whispered “be very, very quiet” to your dog, as you tip-toed past a sleeping dog in a yard. You’re not afraid to jump a fence, squeeze behind a dumpster, or cut through someone’s back yard to avoid an oncoming dog. 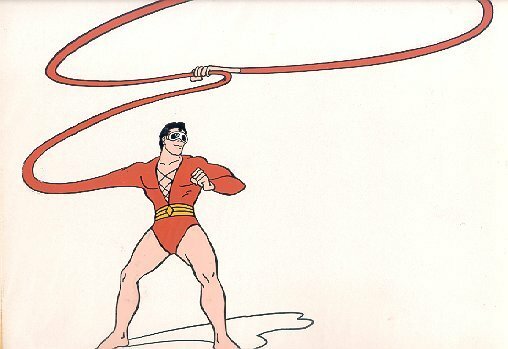 You think Plastic Man and Inspector Gadget were on to something with those extra long arms. Perfect for catching off leash dogs at a distance! You’ve got your trainer on speed dial. You bought equipment for a home gym, but you already have a gym membership. The treadmill is for the dog. On your walks, you wear poop bags on your hands, like mittens, so you can scoop and run.